An important update has been released regarding SSC CGL 2017. 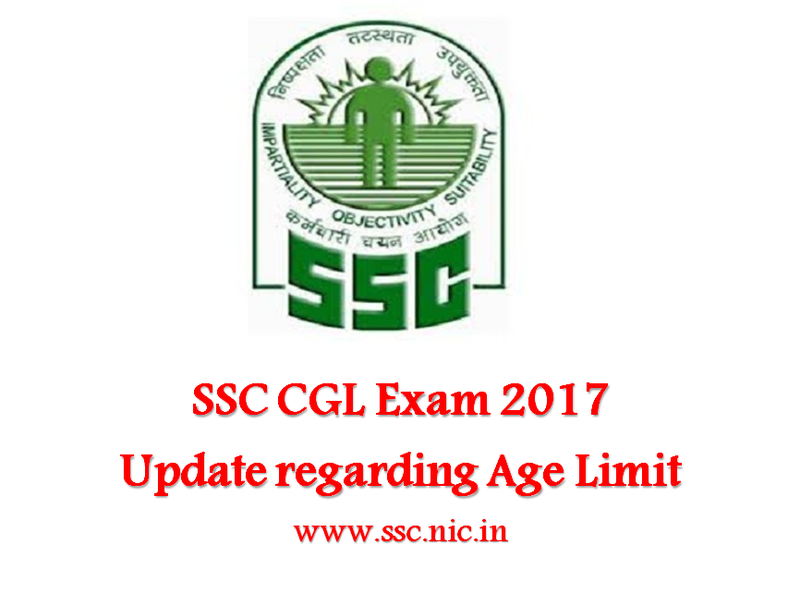 SSC has made aspirants aware of the crucial date for reckoning of age calculation in CGL exam 2017. Details in this regard can be found here or else from the official portal of SSC at ssc.nic.in. Staff Selection Commission (SSC) has released a major update in connection with Combined Graduate Level (CGL) Exam 2017. The Commission has stated that the crucial date for reckoning of age calculation for CGLE 2017 would be 1 August 2017. As per the tentative exam schedule released by SSC, CGL 2017 will be held from 19 June. Online registration for the computer based examination (CBE) will begin on 11 March till 15 April. SSC CGL Tier 1 will conclude on 15 April as per the schedule released by the Commission. CGL aspirants should therefore go through the official advertisement very carefully. Candidates should read the DoPT office memorandum thoroughly and check their eligibility in terms of age limit. After the successful declaration of SSC CGL Tier 1 result (if it happens as per schedule) the Tier 2 examination will be held on 05-08 September 2017. Candidates need not stress in case they do not find the DoPT office memorandum, as detailed information with respect to notice of CGLE 2017 will be made available on the website of the Commission as per the schedule.